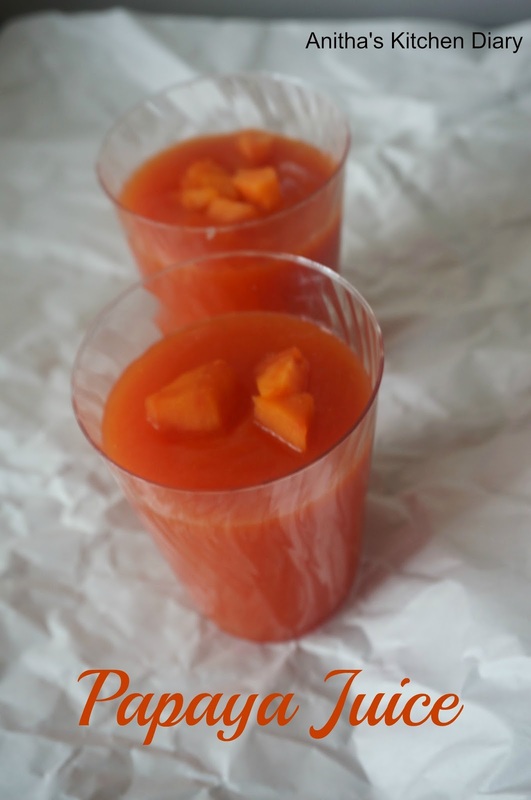 Put papaya pieces , honey and ice cubes (ice cubes is optional you can replace it with cold water) . in a blender.Blend as smooth puree. If it is to thick and some water and blend well.Pour it in a a serving glass and serve chill.